Frustrated by the lack of natural, preservative free mixers, we set about recreating traditional non-alcoholic mixers. Using recipes that pre-date the advent of artificial flavours, colourants and preservatives, we proudly craft our all natural Tonic and Lemonade in small batches using fresh ingredients. 031 Tonic is hand crafted using a traditional Victorian recipe. This all natural tonic is made in small batches with natural quinine bark, citrus and other botanicals. It is sold in cordial form and needs to be kept refrigerated because it does not contain any artificial preservatives. Being a cordial, the amount of soda added can be adjusted according to personal preference. Drinkers of 031 Tonic are amazed at the complexity of flavours that the drink delivers. 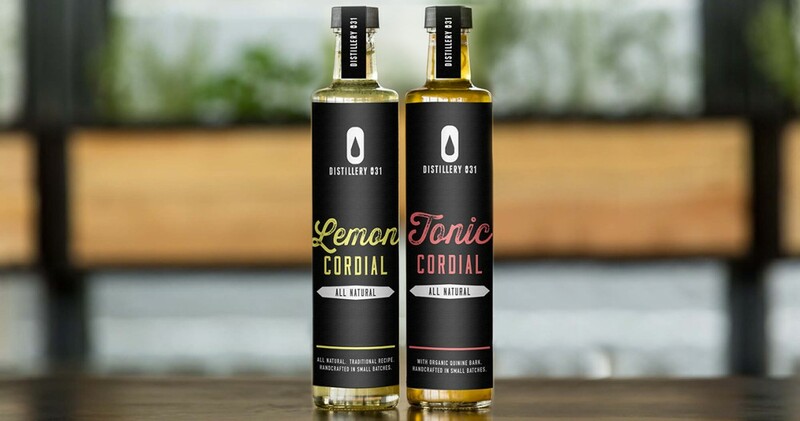 The all natural cordial has for more subtle flavours than commercial tonics and none of the chemical aftertaste. 031 Tonic was developed to compliment Durban Dry Gin as the ultimate G&T. It can be enjoyed as a refreshing, non-alcoholic soft drink. Tonic (or Indian Tonic) is a soft drink which was made popular during the British colonial era. Tonic water is known for its distinctive bitterness which comes from Quinine (or in many modern tonics a synthetic quinine flavour). Quinine was originally used as a malaria treatment during the days of colonial Africa and India. Naturally found in the bark of the cinchona tree found in the Peruvian Andes, one legend of its discovery claims that a South American Indian suffering from malaria took a drink from a pool of water contaminated with cinchona tree and it cured his fever. Regardless of exactly how it was discovered, the first documentation of its use as malaria is recorded in 1630 in Peru. It continued to be used for its antimalarial properties until the 1920s. Tonic water was first served to British colonial troops stationed in India, hence the name “Indian Tonic”. The ritual of drinking gin and tonic at sundown began because British Soldiers were given tonic water with their gin rations to encourage its consumption. Visitors to Distillery 031 do not appear to need any encouragement to drink our delicious hand crafted tonic! Our 031 Lemonade is made a recipe passed down from the Distillery 031’s founder’s grandmother, Lilian Rall. Our lemonade harks back to an era when Lemonade was made from lemons and not artificial flavours. All natural 031 Lemonade does not contain any artificial flavours, colourants or preservatives. It is hand crafted in small batches using real lemon juice, fresh citrus and other botanical ingredients. 031 Lemonade is a non-alcoholic cordial that pairs wonderfully with 031 Vodka for the ultimate Vodka Collins. It is ideally suited as an ingredient in a variety of cocktails and can be enjoyed as a refreshing non-alcoholic drink. 031 Lemonade is bottled as a cordial and can be diluted to taste using soda or iced water.